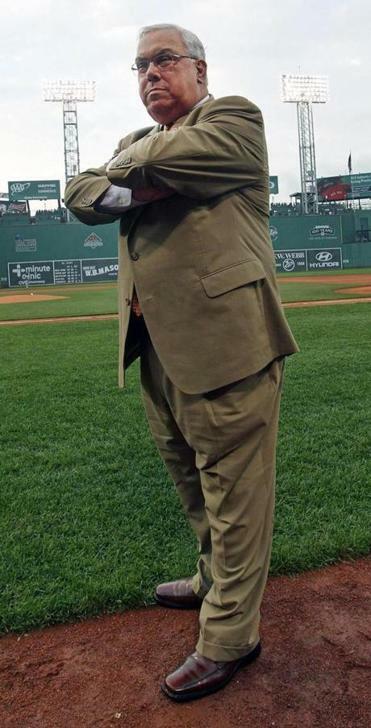 Boston Mayor Thomas Menino at Fenway Park last month. On Wednesday, Chick-fil-A restaurants around the country turned into mob scenes, as customers turned out for what Mike Huckabee termed “Chick-fil-A Appreciation Day.” The company says it was their best sales day ever. At some locations, customers waited in line for hours for food. I hope Tom Menino is happy. Because this controversy has hurt, not helped, the cause of gay marriage. And it is largely Menino’s fault. A couple of weeks ago, the company was desperate to get out of the spotlight. CEO Dan Cathy’s remarks against gay marriage had sparked consumer outrage and threatened to damage the company’s brand. But then came Menino — and after him, a parade of other municipal officials — threatening to punish Chick-fil-A for the comments of its CEO and the political activities of its owners. Express policy views we disagree with? We’ll block you from doing business in our city. Under pressure, Menino walked back his comments, saying he can’t actually keep Chick-fil-A out of Boston. Chicago Alderman Joe Moreno hasn’t been so circumspect, as he continues to make demands about what the company must do before he’ll allow them a permit to build in his ward. San Francisco Mayor Ed Lee, Washington Mayor Vincent Gray, and New York City Council Speaker Christine Quinn also added their unhelpful voices to the chorus. Gray took to Twitter to say that “#hatechicken” should stay out of the District of Columbia. In doing so, these city officials changed the subject, and not in a good way for advocates of gay marriage. Chick-fil-A no longer has to answer for its CEO’s position on gay marriage and its owners’ support of organizations that oppose gay rights. Instead, the company is on the much more comfortable ground of simply defending its CEO’s right to express a constitutionally protected opinion without reprisal from the government. And even as big-city politicians say they’re only exercising their own free-speech rights, Chick-fil-A’s defenders are right to suspect official pressure behind the scenes. At one point, Moreno actually demanded that the company agree to display a rainbow sticker on its door as a condition of being allowed to open — that is, he wanted to compel pro-gay speech from the company. Opponents of gay marriage often claim that legalization will trample on their individual rights. Menino and other officials have provided evidence to support that claim. And to what end? Legal protections for LGBT people and popular support for gay rights are strong in places like Boston and Chicago. Gays and lesbians in these cities do not need protection from Chick-fil-A. Menino’s saber-rattling wasn’t a defense of a vulnerable community; it was just pandering. But by handing Chick-fil-A a valid grievance, Menino and his ilk rallied popular support for the company outside big cities. The crowds turning out to support Dan Cathy’s right to be anti-gay are mostly in jurisdictions with weak legal protection for gays and lesbians. In other words, Menino has helped to make environment more hostile for gays in the hinterland. There is an important role for municipal officials to play on gay rights. They should — and often do — impose laws that prevent discrimination based on sexual orientation. And they should advocate forcefully for gay marriage in places where it isn’t legal. In time, opposing gay marriage will be as embarrassing as opposing an interracial marriage — a view that cannot be uttered in polite company. In the meantime, they shouldn’t abuse their official powers to pick on the likes of Chick-fil-A. When they do, they turn bullies like Dan Cathy into martyrs, and encourage opponents of gay marriage to dig in their heels. Josh Barro blogs about economic and fiscal issues for Bloomberg View.